Build stronger teams and happier people. 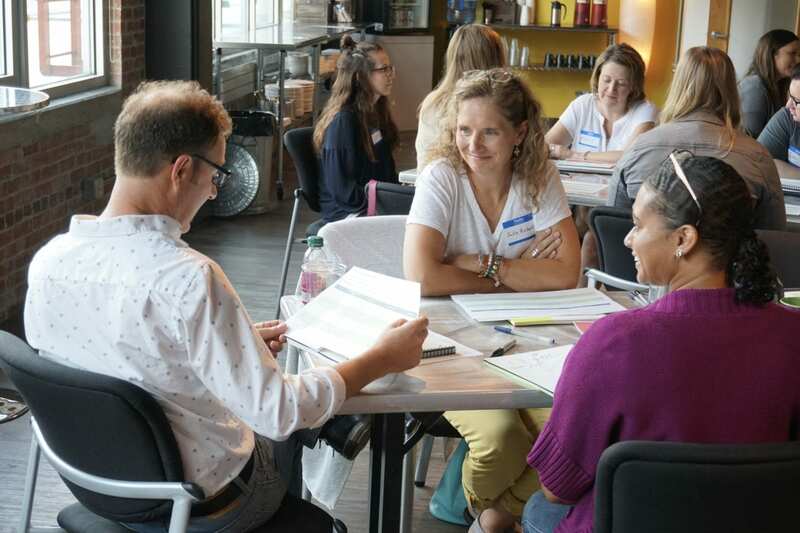 Improve your team and your culture with one of our completely unique and powerful full- or half-day team building workshops in Downtown Columbus, Ohio or at any location, anywhere in the world. Our programs are designed to engage your team’s brains and bodies in what we’ve discovered is the best way to learn and develop — through lots of intriguing interaction and tons of positive energy. The Superpowered Team Retreat is a full-day (6-hour), interactive team building retreat designed to unleash the full potential of your team. 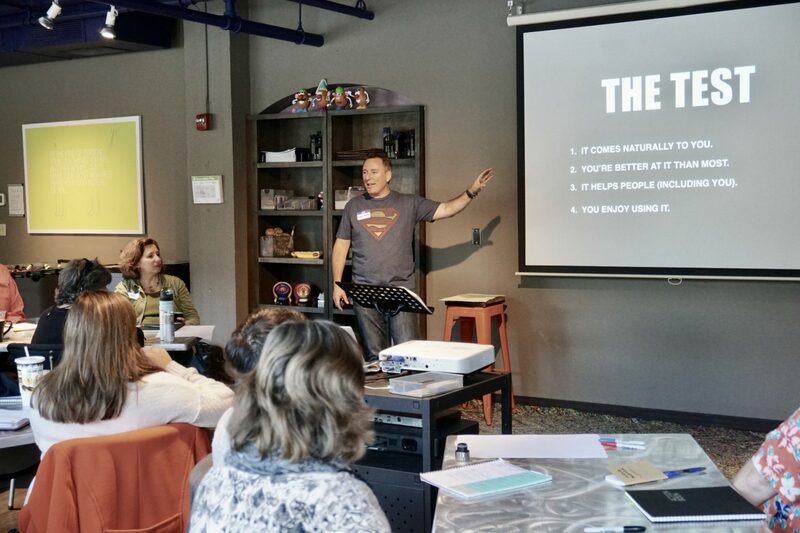 Based on his book, Ordinary Superpowers, sparkspace founder Mark Henson will lead your team through an energizing and empowering process of discovering, articulating, and activating your team’s individual and collective superpowers. The result? A happier, more productive, more Superpowered team where everyone knows how to contribute their best. 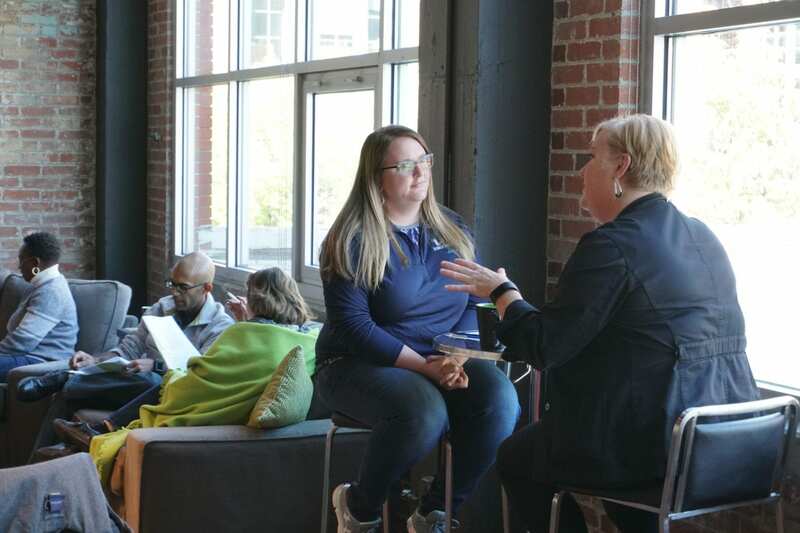 Crazy Good Service is an extremely powerful half-day team building workshop (4-hour) that engages your team to radically rethink how you serve ALL of your customers — including your own team, other departments in your company, as well as your end users or consumers. More importantly, it will help you define what crazy good service looks like on your team so you can begin to deliver remarkably better service immediately. Humans will always search for greener grass. It’s the way we’re wired. When we don’t feel like we have it, we stop caring, producing, and working to the best of our ability. And we start looking around for something better. The Secrets of Greener Grass is a unique team building experience that teaches participants how to create “greener grass” right where they are — increasing your team’s productivity, longevity and (yes) HAPPINESS. We’ve taken the secrets of creating greener grass (the real kind) and created a memorable, actionable set of elements you can use to create a truly legendary workplace. Mark Henson is the founder of sparkspace, an extremely experienced team building facilitator and retreat leader, and published author. Mark’s first book, Ordinary Superpowers: Unleash the Full Potential of Your Most Natural Talents helps you discover the talents that create the most positive change in your life, the lives of others, and the world around you.